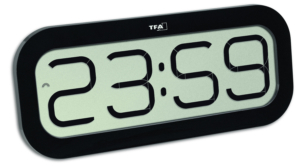 This decorative TFA radio-controlled clock in aluminum look provides you with a lot of information. 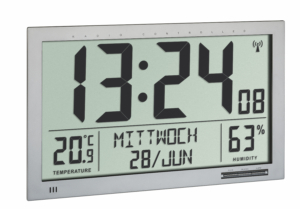 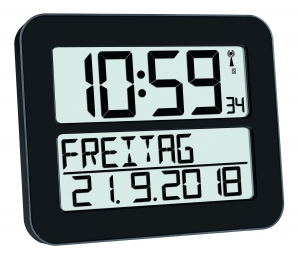 In addition to the exact time, the clear display also shows the date with the day of the week, the moon phase and the indoor/outdoor temperature. 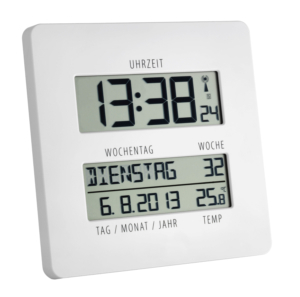 To determine the outdoor temperature, place the supplied transmitter outside. 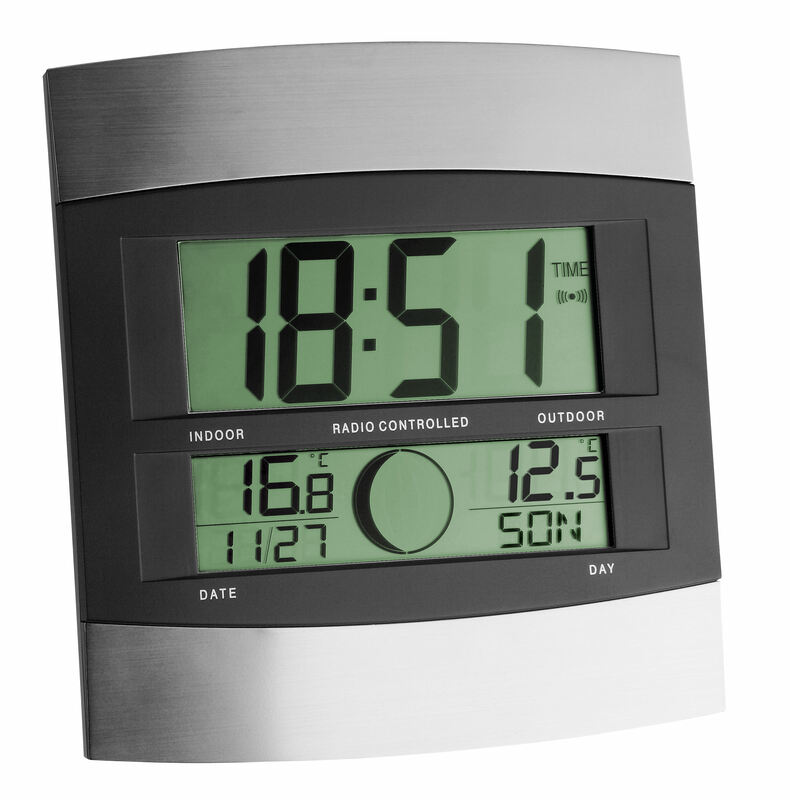 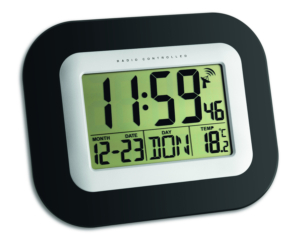 The measured values are then transmitted wirelessly – with a range of up to 100 m to the radio-controlled clock. 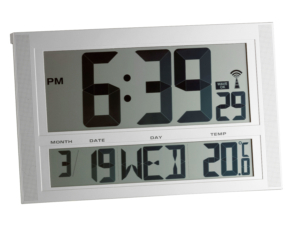 The practical device can also be used as an alarm clock and can be hung or placed onto a flat surface.